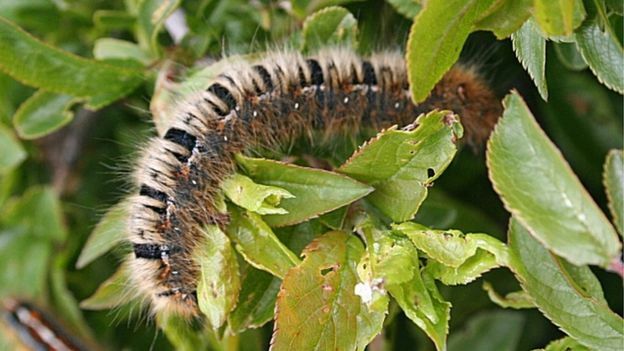 Caterpillars are being killed by a bug which turns them into “exploding zombies”, a wildlife expert has said. Lancashire, Manchester and North Merseyside Wildlife Trust said the skins of insects have been found on Winmarleigh Moss, near Garstang. The baculovirus drives caterpillars on a “death march” to the top of plants, then when it dies the bug bursts out to seek other victims. The trust’s Dr Chris Miller said it was “gruesome – like a zombie horror film”. 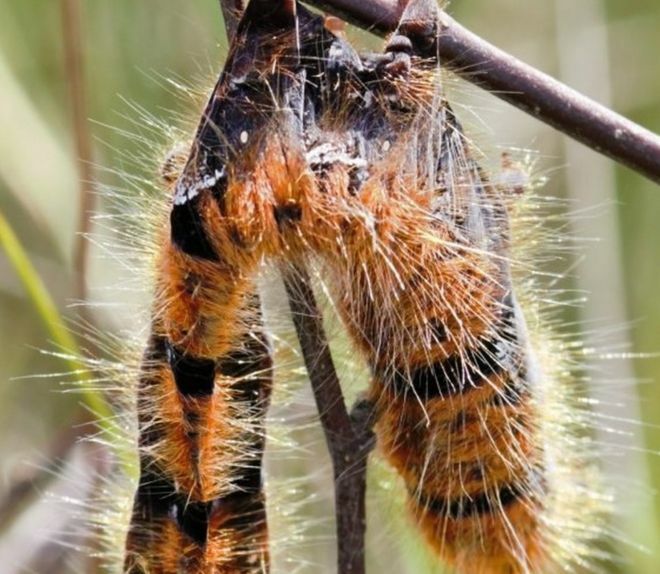 Dr Miller was carrying out a butterfly survey on Winmarleigh Moss when he noticed a caterpillar hanging from the end of a branch of a small bush. He then saw another one hanging from a tall blade of grass. “Both were dead but otherwise intact,” he said. Dr Miller also noticed “small scraps of caterpillar skin” on other branches he checked. He said research is showing that the baculovirus affects the way the “zombie” insects respond to light, “making them climb to higher and more dangerous places and when they get there they die”. 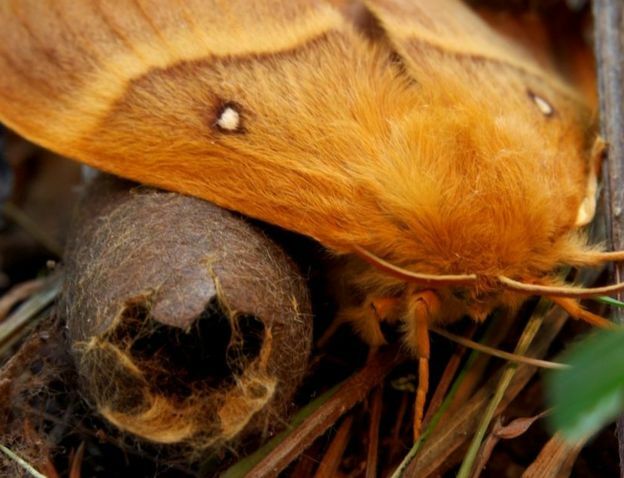 “It is really unusual seeing caterpillars high up as they can be eaten by birds.